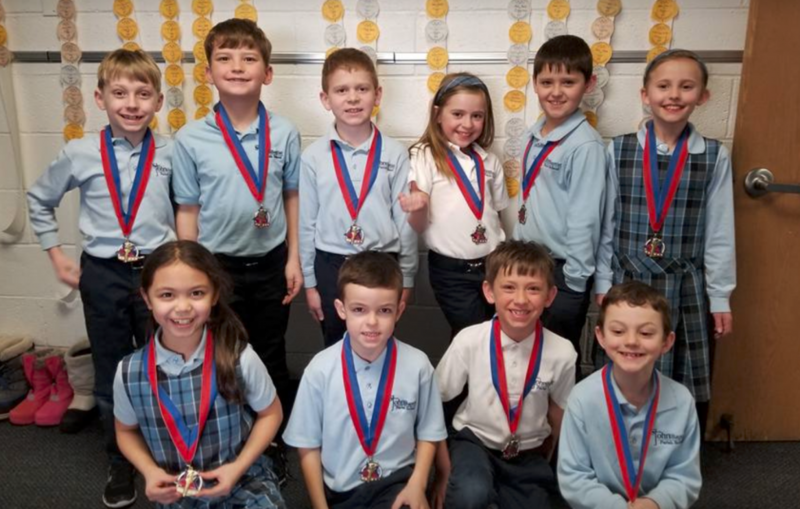 In hopes of preparing St. John’s students for the future in our multicultural society, all students in grades K – 8 receive Spanish language instruction. Students learn basic communicative Spanish language skills and a basic understanding of the rich culture of the Spanish-speaking world. Grades K-3 meet once/week for a 30 minute class. Grades 4-5 meets once/week for a 40 minute class. Grades 6-8 meet twice/week for 50 minutes each. Alicia Bowen is a first year teacher and feels very blessed to be teaching at St. John the Baptist, where she is also a parishioner. She attended Catholic schools from kindergarten through 12th grade and loves the environment and opportunities they offer. She has always loved he Spanish language and attended Concordia Language Villages for three summers as a villager and spent one summer as a counselor. She received her B.S. in Elementary Education from Augsburg University and is currently seeking her Masters of Education from Augsburg. She lives in Roseville with her parents and dog, Stewie. When not at school, she likes to play with Stewie outside, go for walks, swim, ski/snowboard, and relax at the family cabin in the summer. She also enjoys spending time with her brother, sister-in-law, and their dog, Mango.